re picture of allan st dalmarnock where i was brought up, the old man on the left was david easson my father who at that time lived in blairbeth and is sadly no longer with us.
" I was born at 587 Dalmarnock Road , we then moved to Allan Street and were there when the building was bombed on March 13, 1941. My mother (Greta, nee Thompson), brother George (4) and I (19 months) lucky to have escaped with our lives, were evacuated to my grandparents' holiday house at 25 Castle Street, Port Bannatyne, Islay. Our next home was at Farme Cross, Rutherglen where my father Bobbie Simpson had a shop, Farme Cross Emporium. I attended MacDonald Public School and eventually Rutherglen Academy. We moved to Richmond Drive after my father returned from the army. I have some cousins that I have lost touch with, Irene (nee Simpson) Henderson, last heard of she and her husband Kenneth were living in Africa. Also the Donald family, May, married name McCue, Alastair, Robert and Brian. It would be nice to hear some news about Rutherglen. Thank-you Wull, for making this amazing web-site available to the many Glaswegians scattered around the world and awaking many wonderful memories of their childhood." 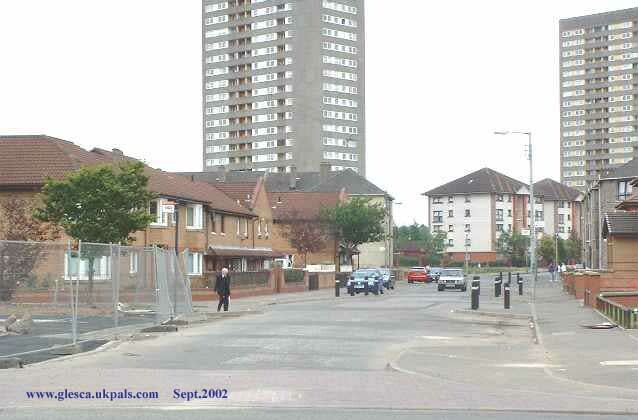 " I was born in Allan St Dalmarnock, went to Springfield Rd Primary and then Riverside Sec now live in Cambuslang.this site has brought back some great memories, 161 BB ,top hat cafe,l ong summer holidays and the fair at the Glasgow Green, Ronnie Pelossi who owned the top hat and kit-kat cafe's is still making ice cream at Farm Cross."